← Baltimore Screening Pass-palooza: “Detroit”! Can I say that a thriller titled The Snowman looks…chilling? Because it does. Synopsis! If you’re looking for a thriller to cool you down at the beach, maybe the book this movie is based on would fit the bill? I’m adding it to my queue. 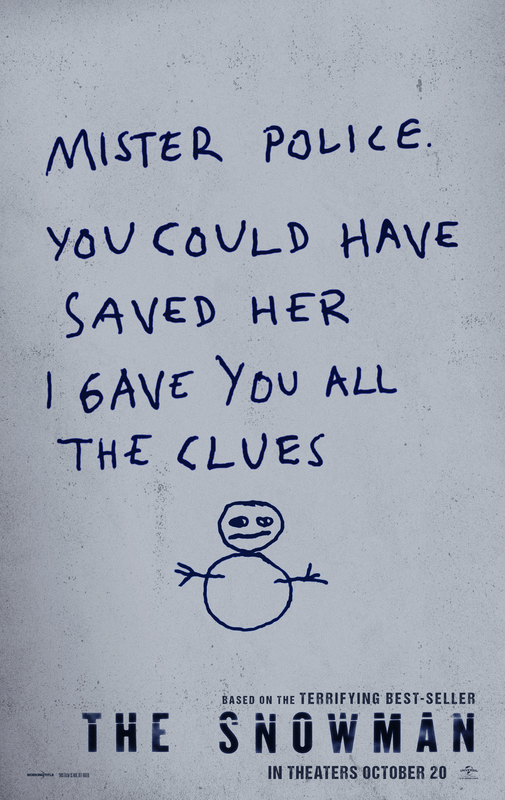 The Snowman rolls into theaters October 20, 2017. This entry was posted in Trailers and tagged Michael Fassbender, Movie Trailers, TrailerWatch. Bookmark the permalink.